Meadowsweet has many other names, including Bridewort, as it was traditional in bridal bouquets. It was also strewn at weddings and handfastings for the bride to walk on, creating a strong aroma. It has been used in love spells and to promote happiness. The smell was said to cheer the heart and keep peace. Meadowsweet also overcame infections. Strewing it about the house allowed the aroma to spread. The scent was said to have the power to induce a deep, sleep from which one would never wake. Conversely, Meadowsweet tea was drunk to heighten energy and merriment, although excessive consumption can produce a narcotic affect. Meadowsweet can be infused into an oil and inhaled, allegedly making women more attractive. The plant is associated with the warrior Cuchulainn, who took Meadowsweet baths to cure rage and fevers. Regarding fevers, Gerard comments that ‘the floures boiled in wine and drunke do take away the fits of a quartaine ague’ (fever). Gerard also talks of the benefits to the eyes, saying that dropping distilled water of Meadowsweet flowers would reduce burning and itching. Culpeper mentions Meadowsweet and its effectiveness for kidney problems and benefits to the lungs and to ease sore throats. So that is what the folk of our time believe. Some of these traditional uses have been backed up by scientific research. Meadowsweet has been shown to have adaptogenic qualities, helping the body and mind to deal with stress. This could manifest itself as the ‘cheering the heart, keeping peace and promotion of happiness’ as these are things which can happen when stress is reduced and the body learns to adapt to stress. It could also be said that the heightened energy and merriment and increased attractiveness of women might occur as stress is reduced. Meadowsweet can control fever, allowing healing to occur, therefore research shows that Cuchulainn’s fever could indeed have been eased by the taking of Meadowsweet. His rage would be calmed due to the aforementioned adaptogenic qualities. This also confirms Gerard’s assertion regarding fevers. There has been research to show that Meadowsweet has antimicrobial properties. This shows that the traditional strewing on the floor could indeed help to overcome infections. Research shows that Meadowsweet is particularly effective in regulating the digestive mucos. This supports Culpeper’s assertion regarding its benefits to the throat, as Meadowsweet has an expectorant effect. Culpeper’s claim that Meadowsweet helps to treat kidney problems, is also substantiated by research. The anti-inflammatory properties of Meadowsweet could be the reason why Gerard observes that the plant has benefits to stinging eyes. No evidence has been found to indicate that the ‘fatal sleep’ or ‘narcotic effect’ had any basis in fact. Dung – that most useful substance, second only to urine and of course free. Well there be too many uses to write of them all here but Mistress Agnes thought she would just mentions a few in case you had an excess of the same to be disposed of. Manure, both animal and human is of course most efficacious when cast upon the soil to make the plants grow. ’Tis strewn around Mistress A’s herb garden with abandon. The berries of the cuckoo–pint can be mixed with hot ox dung and spread on bread as a cure for gout. Fortunately, some may say, thou doth not eat it. Instead this be applied as a poultice. Powdered peacock dung be recommended for the falling sickness that now be called epilepsy (first catch your peacock). The dried cow pat not only makes an excellent fuel but also purifies the air. It also be a wonderous ingredient in the cob from which the houses of Swords and Spindles folk are fashioned. The dried cow pat can be rubbed upon the face to exfoliate dead skin and scabs. Master Christopher’s colleagues in Ireland are recommending blowing dried human excrement in the eyes for curing of the cataracts. Swords and Spindles are willing to share their knowledge of the medicine and herbal lore of their time but we do recommend that you do not try any of their ‘cures’ at home. Mistress Agnes hath been harvesting her lavender, a most useful plant. Autumn is coming and ’tis time to sweep out the earthen floor of her kitchen, remove the soiled straw that hath been held within her threshold and re-lay fresh. With winds freshening and temperatures dropping she will be bringing the chickens in to the kitchen at night. Not being one to toilet train chickens (any advice on this matter will be gratefully received), the straw therefore doth be a touch noisome. Strewing lavender upon the straw wilt improve the aroma. She will also lay lavender in her coffer where her spare linen be stored and hang sprigs in the cottage to dispel the flies. Lavender can be added to the sallets or used to flavour the pottage, tarts or cheese. Lavender be most effective for those that doth be troubled with the snoring. A drop of lavender oil (we do call it Oil of Spike) on the bolster at night wilt aid the sleeping and relieve the snoring. If the good master persists in disturbing your rest ladies, then observe the shape of the flowers, they be just right for inserting into the master’s nostrils. It makes an excellent herb for the Tuzzy Muzzy, to hold to your nose to prevent inhalation of the miasmas and thus protecting one from the pestilence that abounds. ’Tis also efficacious for the palsy or falling sickness and stills the palpitations. Oil of lavender wilt sooth burns or sores and applied to the temples doth ease the megrims. Please note that Mistress Agnes is an historian, not a qualified medical herbalist. You would be well advised not to try her cures at home! She does offer talks on the herbal cures of her time. Come and meet the Swords and Spindles team. As some will know, Master Christopher has got a posting as a ship’s surgeon and Mistress Agnes, not trusting him on the high seas alone, will be accompanying him. They be packing their panniers and will shortly be saddling up for the journey to the port. Mistress Agnes is not looking forward to a diet of salt beef, ship’s biscuits and hard-tack. As a hardened seaman, Master Christopher should be fine but Mistress Agnes is a little concerned about sea-sickness and is taking plenty of wormwood and pennyroyal. She would take ginger but it be vastly more groats than she can afford. 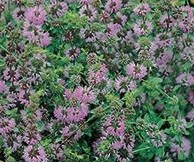 Pennyroyal also be good for purifying the drinking water, though in truth, Mistress A. prefers sticking to small beer when she can. Master Christopher has put his surgeon’s kit together and is hoping that all the messages that have been penned back and forth will see him safely past customs and security and more to the point, safely back home again, complete with clyster syringe. If anyone is feeling unwell he will be happy to oblige with one of his gruesome gentle remedies. To be honest, headache sufferers would be better off with Mistress Agnes and her fennel.